"Dark robe. Has a stylish nose already – blackberry, primrose, softly floral, black cherry. It is in no hurry, is very calm, references good Burgundy with Pinot-esque style. There is a murmur of oak. The palate sequels very well from the nose; there is a sensuous glass of wine here. The fruit glides along with ultra smooth tannins within, until the crunch and oak on the finish. Classy, max appeal, a Grand Vin. Dark fruits such as blackberry and a little mulberry lie at its heart. The balance is good. White pepper spices the finish. “It has a lot of density, will require time,” Philippe Belle. From 2021. 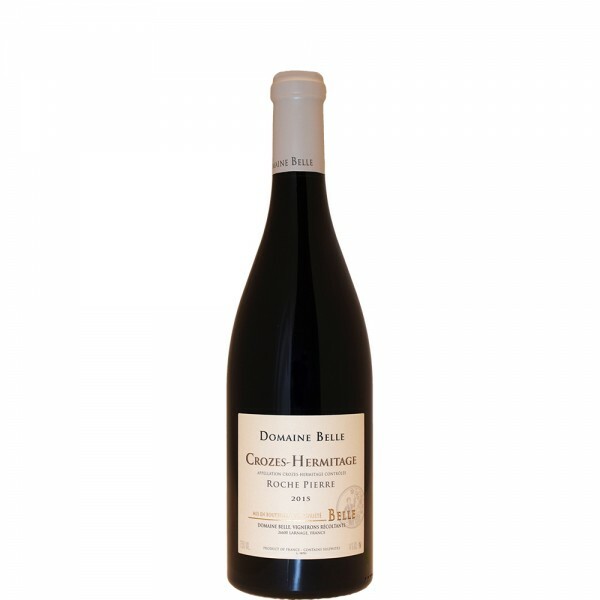 2036-38"
"Simply one of the best (if not the best) Crozes Hermitage I've ever tasted, Belle's 2015 Crozes Hermitage Roche Pierre is a huge, full-bodied wine with immense richness and unfathomable length. Crushed stone and black olive aromas set the scene, then masses of fine tannins leave behind an indelible yet velvety imprint on the palate. Mocha, stone and spice elements whirl together on the finish, transporting the taster to gnarly old vines on craggy granite slopes. The Belle family treats this wine like Hermitage, and in this vintage, it even surpasses their Hermitage. Wow. "Not yet bottled, the 2015 Crozes-Hermitage Roche Pierre is the flagship cuvée from Crozes-Hermitage and will spend a full 26 month in barrel. Cassis, toasty oak, espresso and floral notes all emerge from this beautifully concentrated, yet elegant Crozes that has ripe, present tannin and a great finish. It's more than a little impressive and easily the finest version I've tried from this estate to date."